One of the reasons we’re so popular at Arlington House, is that we go out of our way to employ people who are friendly, approachable and good at their job. Whether it’s a helping hand getting dressed, a friendly face at mealtimes or a cup of tea and a chat in the evening, our experienced team of carers are here to support residents 24/7. Our team of carers are known for going the extra mile. They have wonderful friendships with our residents and enjoy plenty of fun along the way. Rose Jewell is our Registered Manager. She holds an NVQ Level 4 managers qualification and has been in position for over 30 years. 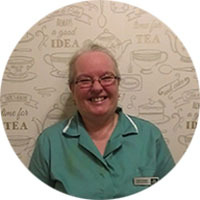 Her loyalty, knowledge and experience is a real asset to our home, while the rapport she has with residents and their families allows Arlington House to really stand out from the crowd. Ritu was promoted to the role of Deputy Manager in September 2017 and is already one of our most popular and respected staff members. 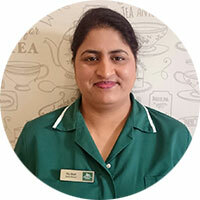 Not only is she caring and composed, Ritu is also a fully-qualified RGN. Her nursing background is vital in helping us to achieve the highest standards of care, supported by robust and professional processes. 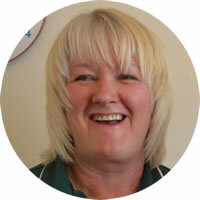 Kate has worked at Arlington House for 16 years and is one of our most loyal & experienced staff members. Kate is ultra-professional, bright and hugely popular amongst the residents and their families. For someone so young, Keli has a wise and experienced head on her shoulders. 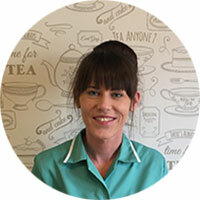 Keli has worked at Arlington House for 8 years and is always keen to improve and listen to new ideas. Keli has tremendous rapport with the residents and an unflappable manner. ‘Memorable’ is the first word that comes to mind with Hazel! 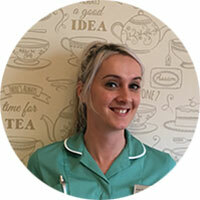 Bright as a button, humorous and 100% committed to resident care, Hazel is a key member of our team. Working the night shift, Hazel gives residents and their families peace of mind 24/7. 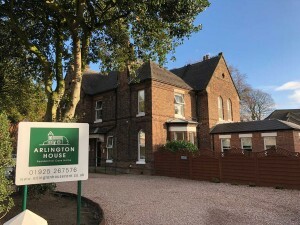 To find out more about joining our professional and caring team – please visit the Working at Arlington House page or feel free to speak with Rose or anyone of our team direct.